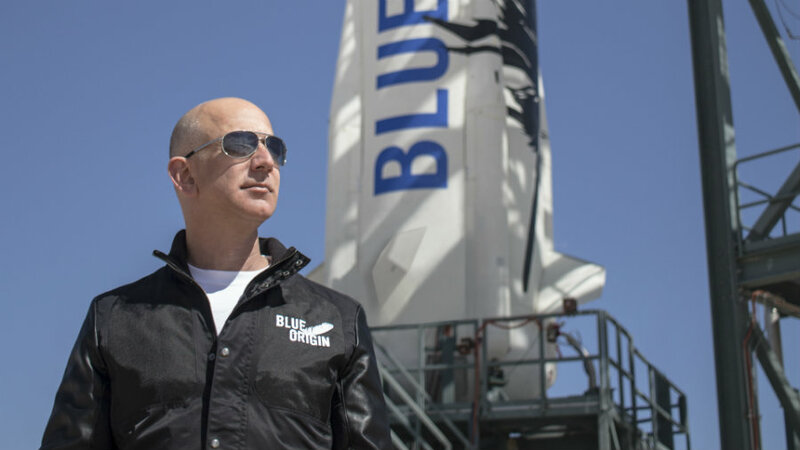 Jeff Bezos, chief executive of Amazon and owner of The Washington Post, has invited reporters to the headquarters of his private space company Blue Origin, where reusable rockets are being constructed. Previously, the company had maintained its installations away from the public and reporters. However, last week Mr. Jeff Bezos invited a group of space reporters to take a look at the plant and talk with Blue Origin managers. Mr. Bezos explained to reporters that Blue Origin’s name comes from “blue planet”, which refers to Earth. The company has already 600 employees and will employ 400 new people next year to work on the BE-4 engine, according to Modern Readers. Currently, Blue Origin is developing two more New Shepard capsules, said Discovery News. These space vehicles are being designed for going to space and returning to Earth by successfully landing vertically. Reusable space technology is more affordable and can impulse research and exploration. The new capsules have windows and seats for up to six people and the will reach distances of about 62 miles above Earth, allowing passengers to look at the Earth and the black skies of space before the New Shepard goes back into the atmosphere and lands in the United States. Blue Origin engines are designed, developed and manufactured in Washington State. The company wants to build six New Shepard vehicles, however not all of them will be available for commercial use. According to Mr. Bezos, commercial flights could start in 2018, however, the company has not started selling tickets yet. “Reusability allows us to fly the system again and again. With each flight, we’ll continuously improve the affordability of space exploration and research, opening space for all.” Wrote the company in its website. The BE-4 was also spotted by reporters. According to Blue Origin, the BE-4 rocket engine is the fastest way to end American dependence on Russian-built engines. This liquid rocket engine has been completely paid by the private sector and will be available for use in 2019 since testing has already started. “Democratic” space technology shows a promising future. Analysts have said that if private companies continue to boost the development of reusable space technology, a new market of “democratic” space flights could be created. Last year, Jeff Bezos said that he wanted to allow millions of people to live and work in space. Earlier in the year, the privately-funded space company Virgin Galactic presented a new spacecraft designed to carry six passengers and two pilots into space. Passengers will earn official astronaut status and they will be able to enjoy an astounding view. It is expected that Virgin will be the first private space company to carry tourists to space. Celebrities like Brad Pitt, Leonardo DiCaprio, Tom Hanks and another 700 people have already bought $250,000 tickets to Virgin Galactic, even when there is not a specific date of departure.